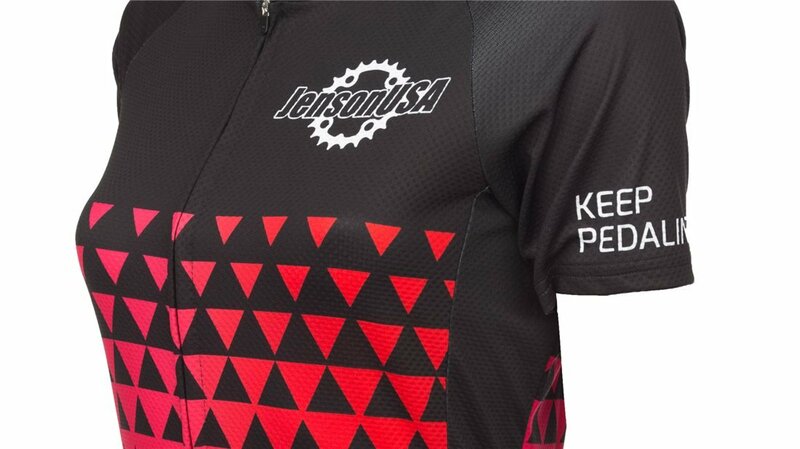 Built around a collective love for all things cycling, Jenson USA prides itself on inspiring people to ride, experience, and explore. 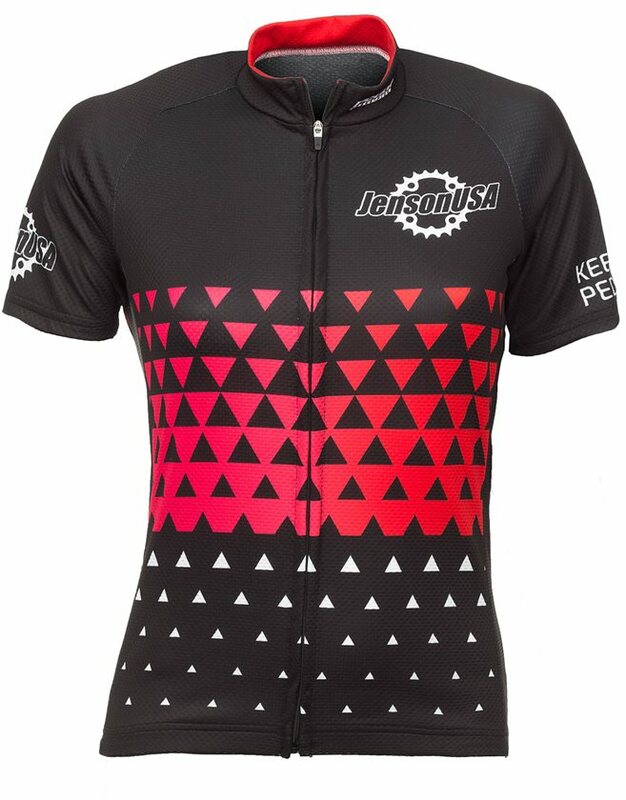 Whether you're seduced by the podium, inspired by the scenery, or motivated by fitness, Jenson Custom apparel is your motivator for getting out and pedaling. 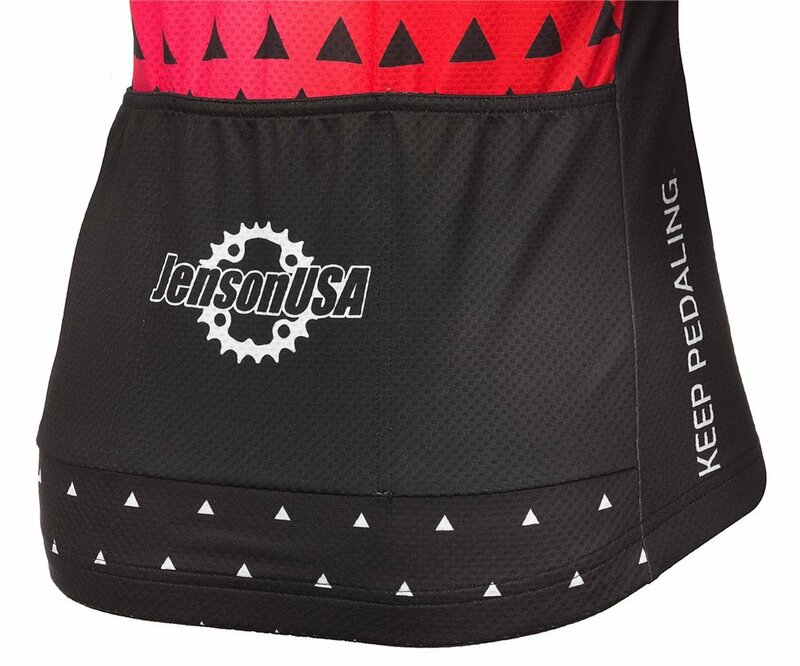 The Jenson Custom Road jersey is handsomely decorated with Jenson USA's logo, and features our "Keep Pedaling" mantra in a classic colorway that looks great on the road or in the dirt. Lightweight, moisture wicking fabric will help control heat, while the full length locking zipper can be opened for additional ventilation. Three rear pockets let you pack small essentials. 3 Rear pockets to carry all that you need on race day.